Textiles are an exciting art medium of their own, and Val Hughes' exceptional themed collections showcase their versatility with stunning panels, wearable art, wall hangings, bags, jewellery and accessories. 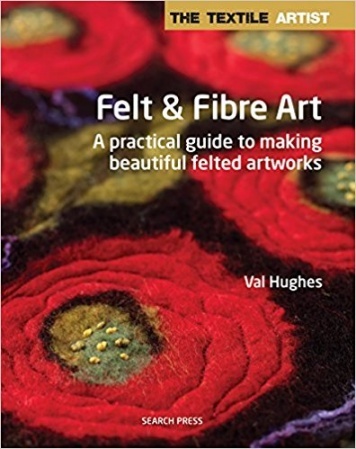 Val Hughes explains how to use your senses and emotions as inspiration for your own incredible textile artwork, and how to use wool and water to bring them into reality as felt. Each of Val's collections is explored through themed galleries of her inspirational wearable art alongside step by step projects for you to try.